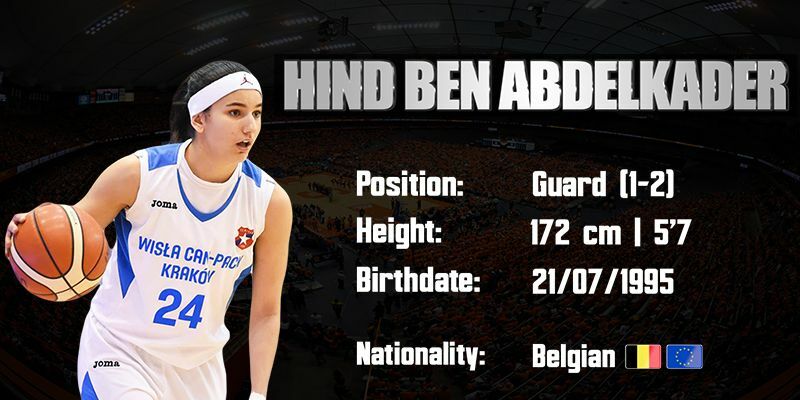 Hind Ben Abdelkader extended her contract with Hatay for the 2018/19 season and she won the Presidential Cup and was named the MVP. In Turkish League, Hind averaged 19.2 points, 3.4 rebounds and 4.2 assists with 56% from the field, 43% in three pointers and 93% in free throws. In Euroleague, Hind averaged 13.6 points per game with 37% from 3 point range. Undoubtedly, Hind Bin Abdelkader is a top player at the European level and has an amazing future ahead of her.